Just in time for Valentine's Day or just something awesome to do for yourself! 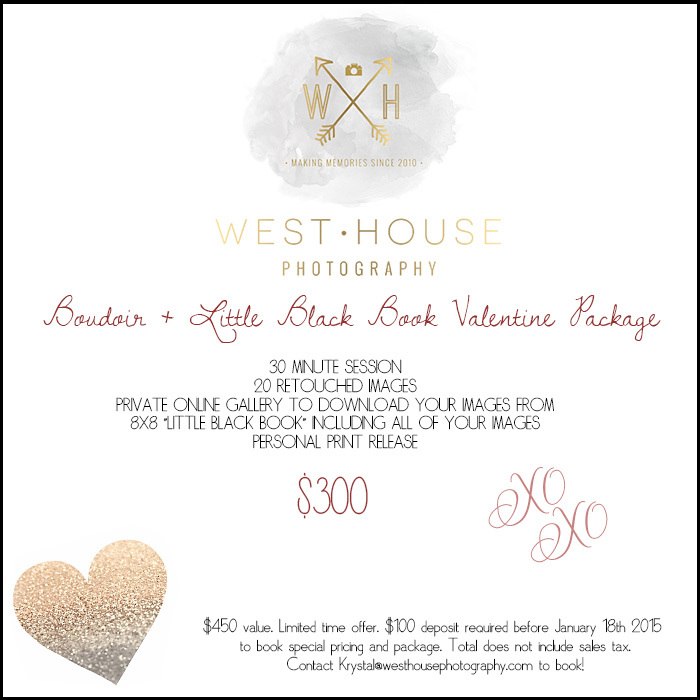 Boudoir session + 8x8 "Little Black Book" package! Limited time offer! Must have deposit in before January 18th to book special pricing.